It is hard to choose only two. But if I have to... PW because it is the first one I saw. And Chopin because It made me fall in love again. These are the ones I rewatch most of all. Ahhhh it’s too cruel to chose only three! 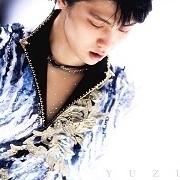 Upon deep pondering I picked Chopin and Notte Stellata (and I’m already changing my mind :s_blush) because I have a thing for all those spins and because these two are the programs I’d show everytime I read/hear someone call Yuzu “cold” or “not artistic”. :hammer: Also I’m using them to convert the rest of my family into worshipping Yuzuru. 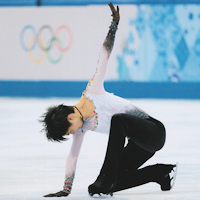 :yes: I added Change EX because the video of a 2014 summer exhibition just blows me away and showcases the more upbeat and playful side of Yuzuru. I also love the passionate RJ1, hearthbeaking Requiem and magnificent Seimei. H&L grew on me till full-blown adoration and now I can rewatch it countless times in loop, it is just so beautiful, calming and haunting at once. Honestly I didn’t like PW music at first, but the program was just sooooo good I had to know who was the skater who skated it, so it is the one which took me here: he looked like he was flying on the ice with so much speed and so smoothly, and everything felt lively and funny and made me end with a giant smile on my face. 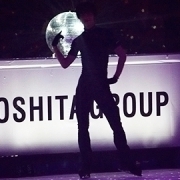 :grin: The same with LGC, aat first I wasn’t overly fond of the song but after I saw the GPF sp I couldn’t help but falling in love for that program. I chose RJ1 because first love :love: aaand Chopin + Seimei - it was magical to see them live in Barcelona and made that vacation the best in my whole life!!! Romeo and Juliet 1: I love the innocence of his 17 years, the raw skating, the power of his presence and the hungry in his eyes. Seimei: I love the tradional, the elegance, the perfection. The third choice was difficult was between Chopin and Parisienne Walkways. I choose Parisienne Walkways because with that I met him and feel in love with his skating.